Scroll down to browse. Use filters at left (large screens only) to narrow your search, or click on an image or a text link below. 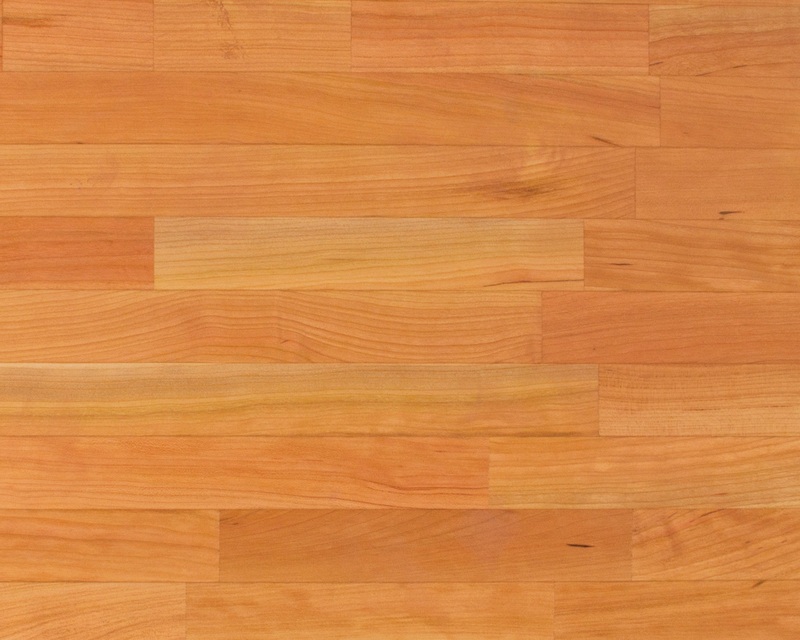 American Cherry is a hearty and beautiful North American hardwood. 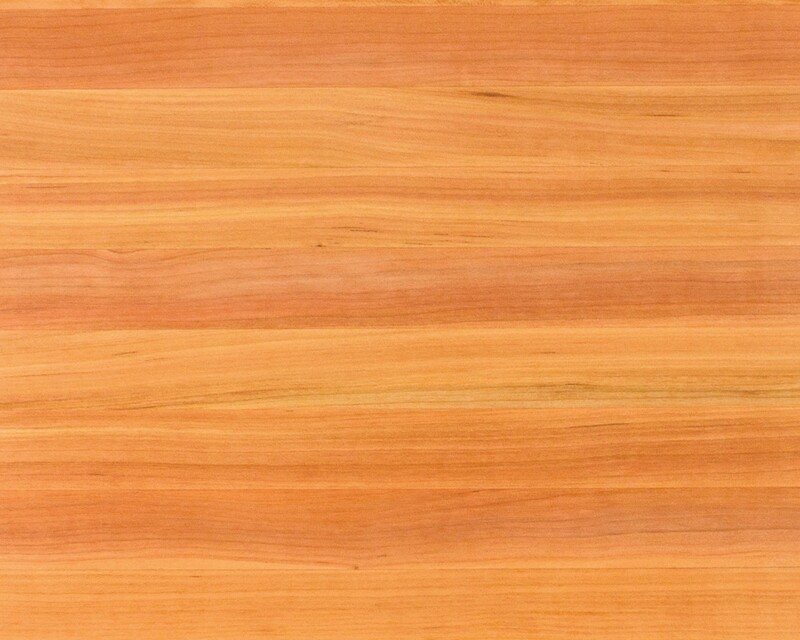 Cherry wood tends to change color slightly with the passing of time. It’s likely to appear light and somewhat indistinguishable when fresh, but it will darken/redden over time, especially during the first year. As a result, cherry countertops are used to add a bit of punch and excitement to kitchens, especially those with white cabinetry. As you would expect, they’re also stunning when positioned against a backdrop of cherry wood cabinets. John Boos & Co. makes these cherry counter tops in Central Illinois. The company produced the very first Boos Block over a century ago. Although tastes and styles have changed considerably over the years, America has always loved the look and durability of cherry countertops. You’ll find a wide selection of standard-size tops from which to choose, in various thicknesses, lengths and widths. If you’re unable to find a suitable standard size, you can opt for made-to-order cherry tops. Edge-grain cherry butcher block countertops are made using wood rails that span the full length of the counter. Consequently, the only seems where wood pieces meet run parallel to one another, for a clean, repeating look. 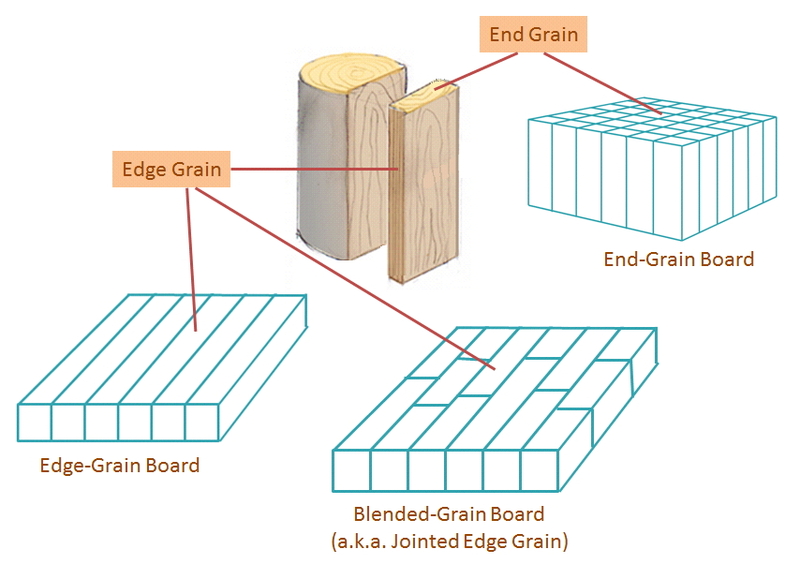 In contrast, blended butcher blocks incorporate wood strips of varying length that are finger-jointed together, except for the block’s outside rails, which run the full length of the block. 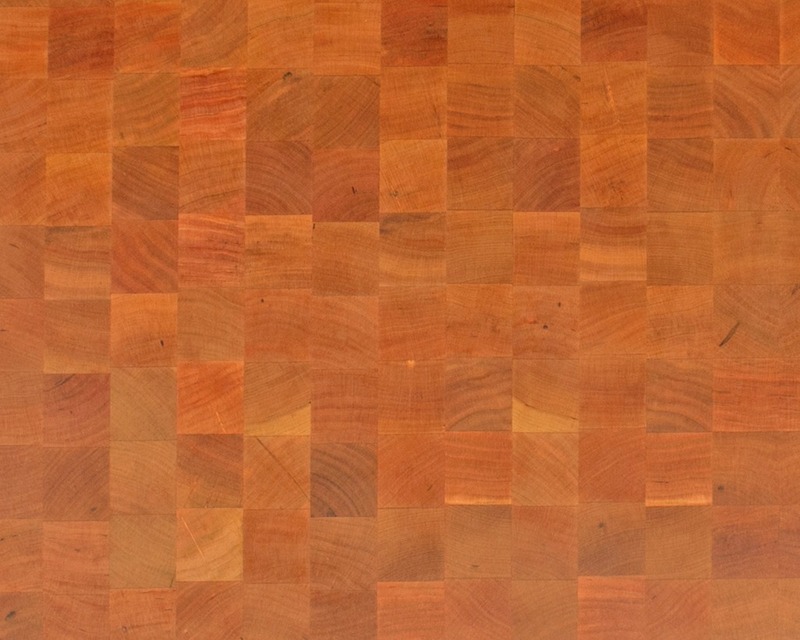 The surface of an end-grain cherry butcher block resembles a colorful checkerboard in which each and every board space shows the sawed end of a strip of cherry wood. The exposed wood fibers are resilient, but yield to sharp blades, making them easier on knives.